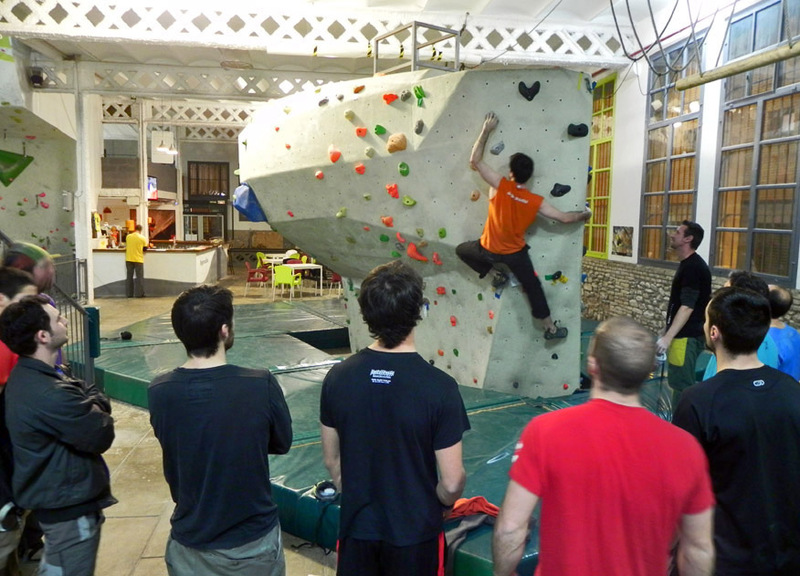 Closed to the end … there is only one test more, the 9th of the 3rd Interclubs Bouldering League. Wednesday 2nd (15-22h), Thursday 3rd (15-22h) and Friday 4th of July (10-14h / 15-21h). Also, on Friday the 4th from 21 to 22h is going to be the awards ceremony and will draw equipment from our sponsors. 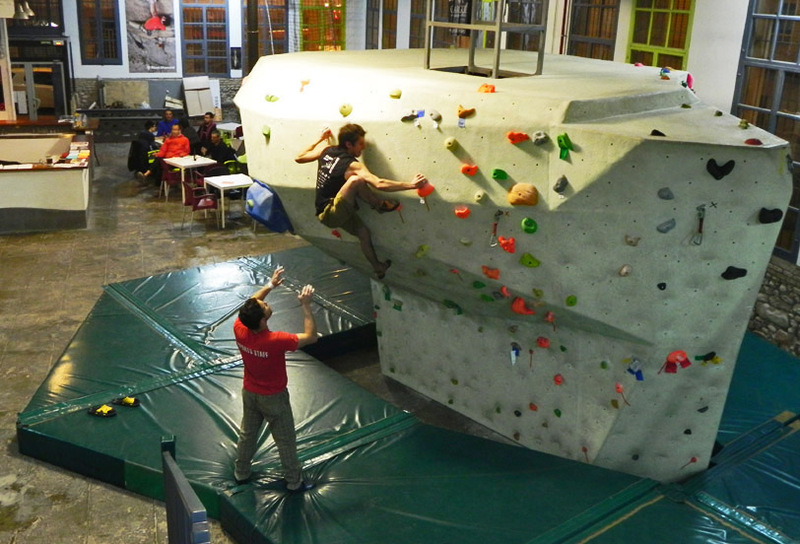 It will be an exciting test, with podiums not yet defined, having fun and enjoying the problems created by our friends from Sala La Reunió, with prizes for many climbers. 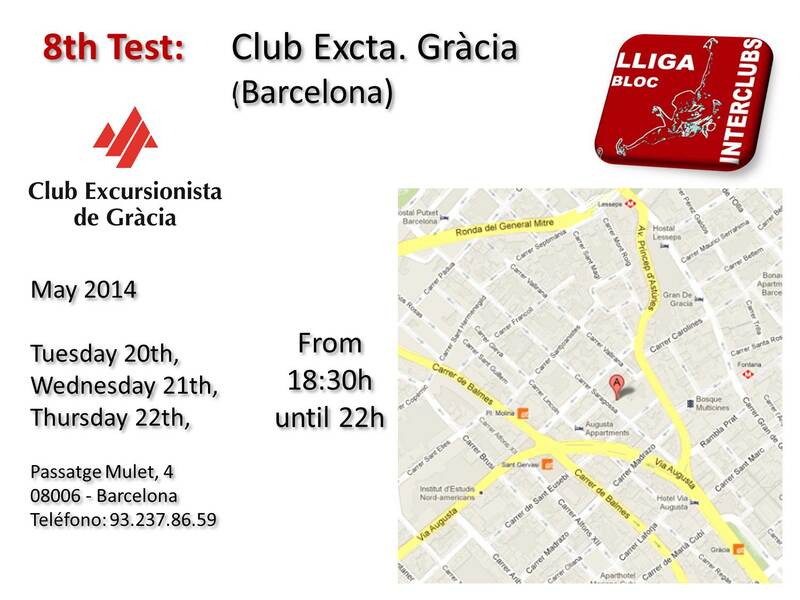 Our friends from Gràcia did a great test on 20, 21 and 22 May (with extra day on the 26th). A test that leaves the 3rd league very exciting for the 9th and final round. 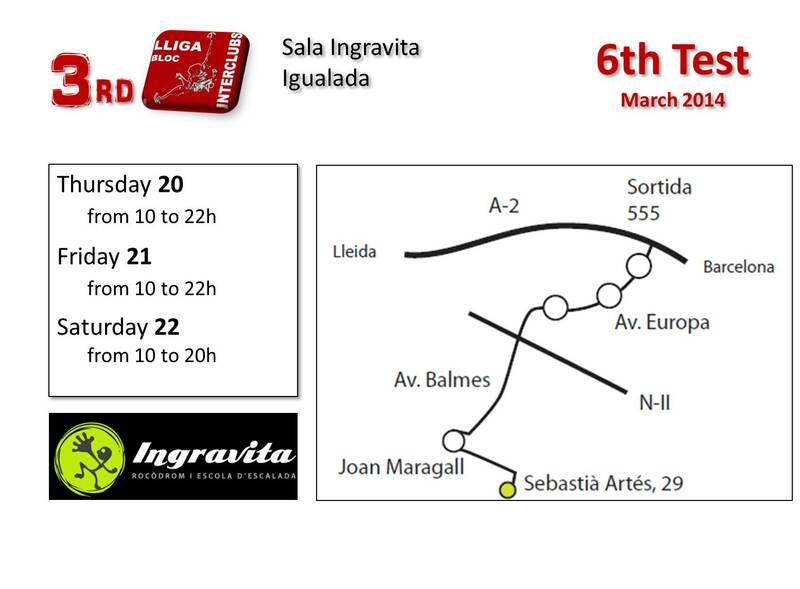 As always you have posted classifications and soon we’ll tell you the dates of the last test, which causes beyond (work in their gym) can not be held in Sant Cugat Mountain Club. Train, just one test left! 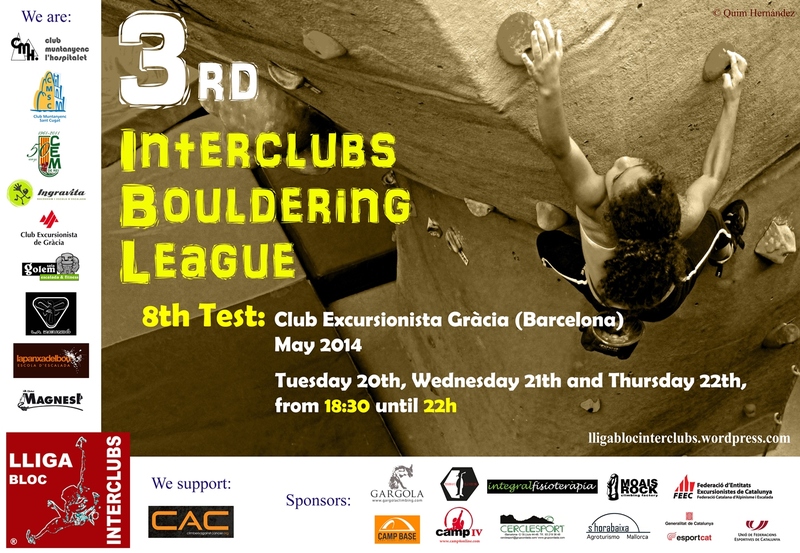 The 8th Test will be held in Barcelona on Club Excursionista Gràcia, the next days Tuesday 20th, Wednesday 21th and Thursday 22th May (18:30 to 22h). Friends of Gràcia will prepare an excellent test for sure, you’re going to lose it? 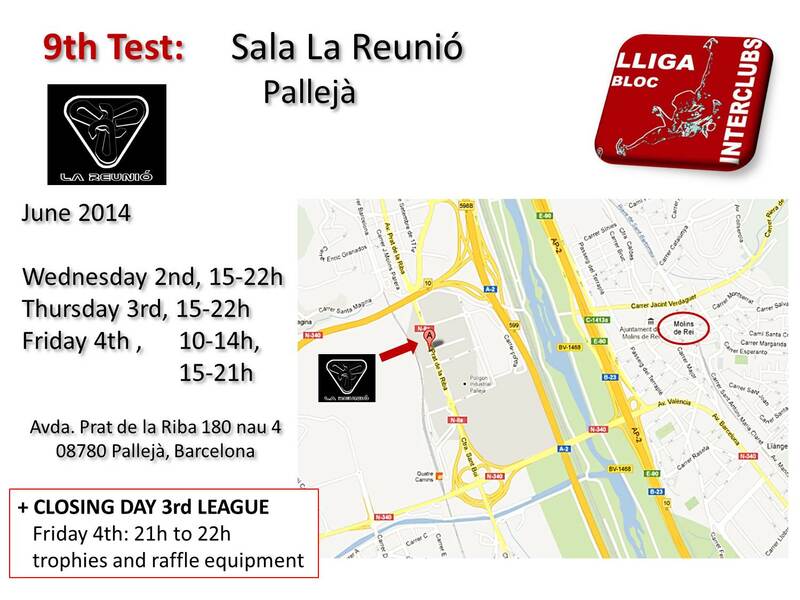 Once again, thanks to the Friends of the Sala La Reunió to open our doors … We get to the final of the 3rd League. Again, good atmosphere. 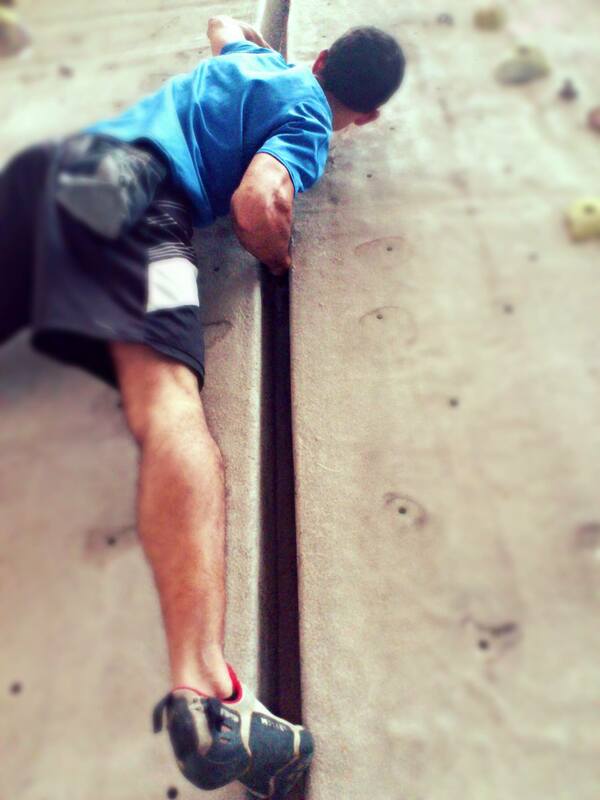 Boulders were really nice for climbers and the classification is tight. Rankings are updated. The next 24, 25 and 26 April will host the 7th test of the 3rd Interclubs Bouldering League. Attention: Due to technical problems we have to change it. This test will be in the Sala La Reunió of Pallejā. The 8th test will be held in May in the Club Excta Gracia and the 9th Test in June will be in the Club muntanyenc Sant Cugat at the end of the respective month. 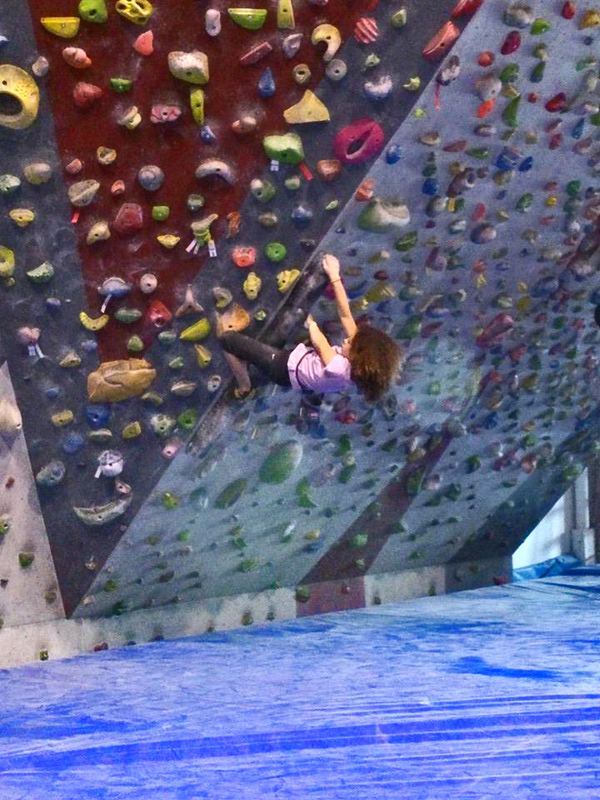 Held the 6th round of the 3rd Interclubs Bouldering League. There are only 3 tests left! 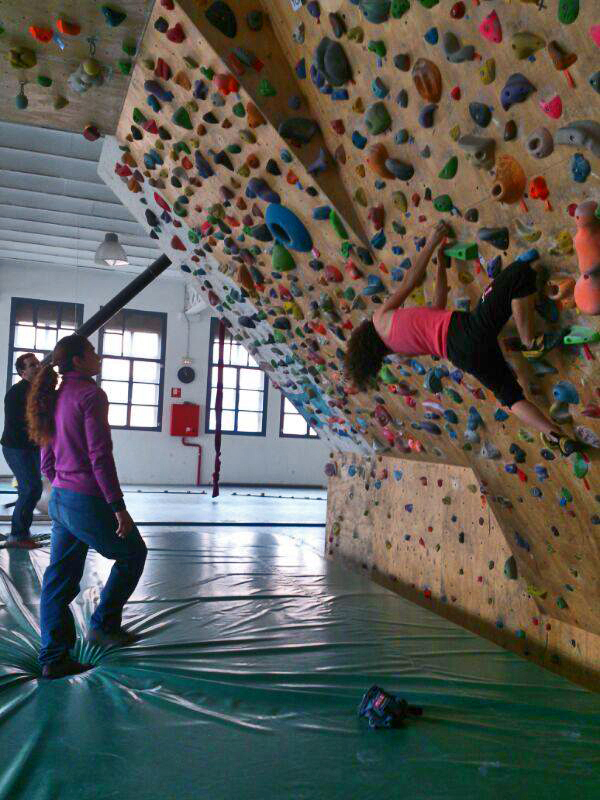 Our friends from Ingravita Gym (Igualada) did the 6th Test on 20th, 21th and 22th March, which left everyone happy. We have already 2/3 of the league and the rankings are really closed. As always you have updated rankings and photo gallery on Facebook. Next stop: 7th round, Excta Club. Gracia. 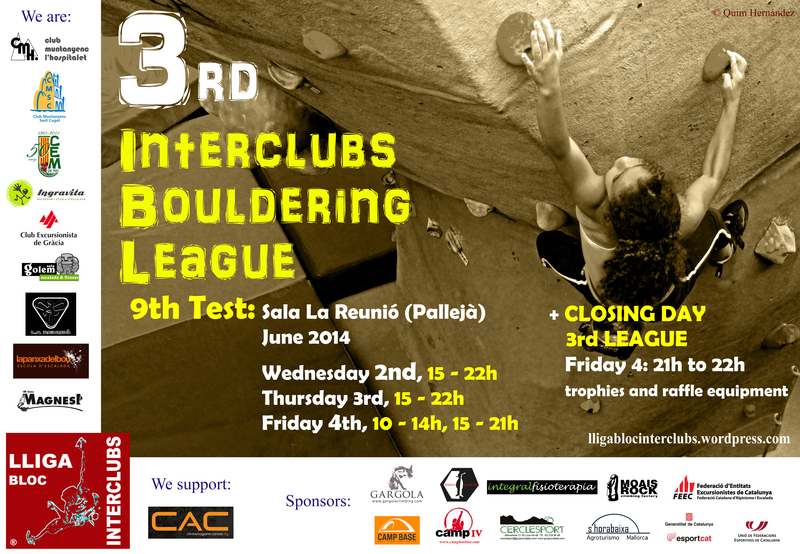 This week we will do the 6th round of the 3rd Interclubs Bouldering League. The test will be held on Thursday (10-22h), Friday (10-22h) and Saturday (10-20h). Even our friends we will enjoy us with 15 big problems …. I hope!